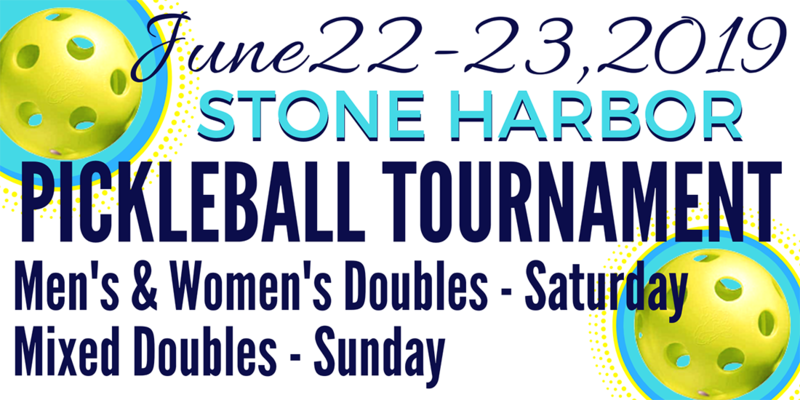 Stone Harbor, NJ – Stone Harbor’s passion for pickleball ignited in the spring of 2014 and shows no signs of being labeled “just another trendy sport.” Pickleball is a paddle sport created for all ages and skill levels that is “growing in leaps and bounds,” exclaimed Stone Harbor Pickleball Coordinator, Kim Jackson. 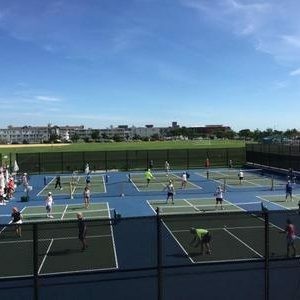 Pickleball combines many elements of tennis, badminton and ping-pong. The rules are simple and the game is easy for beginners to learn, but can develop into a quick, fast-paced, competitive game for experienced players. 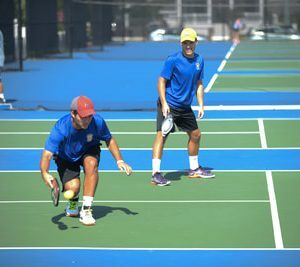 The game now coined “the fasted-growing sport in America,” by many notable publications, is played both indoors or outdoors on a badminton-sized court and a slightly modified tennis net with a paddle and a plastic ball with holes. Sounds easy enough right? Well, not exactly when Stone Harbor Recreation welcomed the numbers it did in 2017. 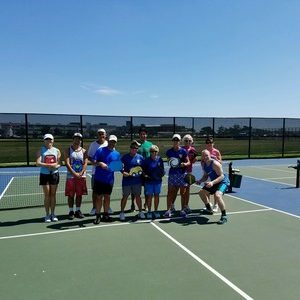 Stone Harbor Recreation welcomed over 3,000 players to their courts in a twelve-week span in 2017; 1,250 of them were introduced to the sport through the Stone Harbor program alone; 51 beginners was the record high in just one beginner session. All four women are Stone Harbor property owners and have a deep connection with Stone Harbor. Kim Jackson summered in Stone Harbor since 1985 and ultimately bought a home in 1995. 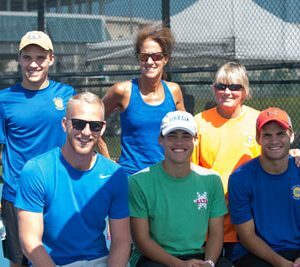 Kim was a teacher and taught pickleball for 25 years in physical education classes in West Chester, Pennsylvania. Phyllis’ family came to SH over 60 years ago and eventually bought her house in 1976 that she owns today. Phyllis, also a teacher, taught pickleball for 30 years in physical education classes at Radnor HS in PA.
And don’t let Nancy’s modest and humble persona fool you on court. 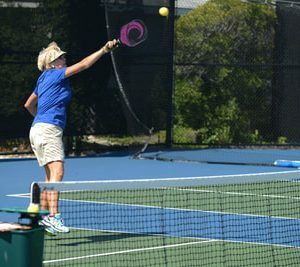 She is a tenacious Pickleball player who has been playing actively for eight years. She is the first to greet you with a warm smile and is the driving force behind the camaraderie created on court. Nancy spent her summers in Stone Harbor with her family since 1943 and has lived in Stone Harbor full time for forty years. She created, owned, and operated the adored The Bread & Cheese Cupboard for thirty-four years on 96th St in Stone Harbor, NJ. 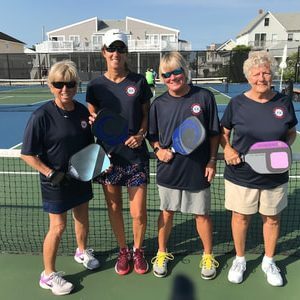 Phyllis, Michele and Kim play in the US Open Pickleball Championships annually. 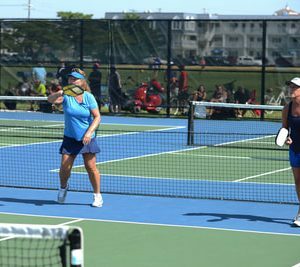 Phyllis and Kim both medaled in the prestigious pickleball tournament; The Huntsman Games hosted in St. George, Utah. 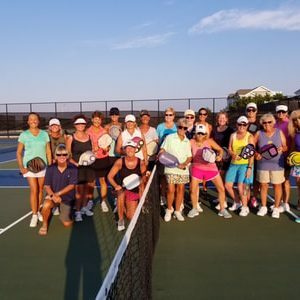 Needless to say, there is no shortage of talent instructing the Stone Harbor Pickleball program. 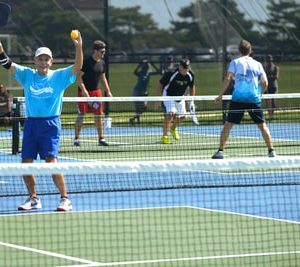 The resonating message from our volunteer coordinators; Pickleball keeps you active on-the-court, develops lasting friendships off-the-court, and be prepared to get addicted! 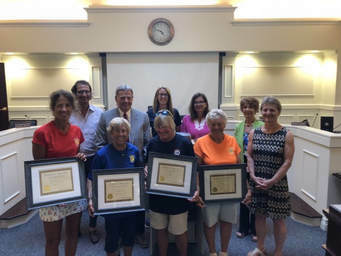 Mayor Davies-Dunhour and Borough Council recognized the volunteer efforts of these four exceptional individuals at the Borough Council meeting on Tuesday, June 19, 2018.